We’d love your help. 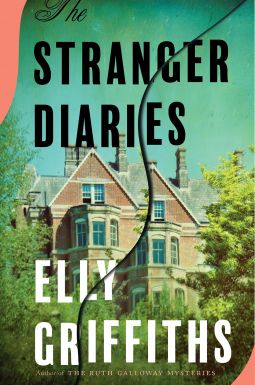 Let us know what’s wrong with this preview of The Stranger Diaries by Elly Griffiths. To ask other readers questions about The Stranger Diaries, please sign up. Would someone kindly message me and let me know if the dog is killed? I'm really touchy about these things and don't want to buy the book if this is the case. Thanks so much. Will this be available on Netflix? NetGalley and I have been playing this game where it tempts me with a book, I play coy, and then one night after a few glasses of wine I click the READ NOW button and, the next thing I know, I'm the proud owner of a shiny new ARC and a small percentage added stress to get it reviewed before pub date. There, I admit that I have a problem. The trick with this game is that sometimes it doesn't work out well for me, but every now and then I stumble across a blessed gem that I may not have had the courage to grasp otherwise. This was that sort of case; I kept eyeing The Stranger Diaries online because it seemingly contained everything I love in a book. I'm a sucker for bookception (books that take place inside of another book), gothic suspense, and an Agatha Christie-esque plot that gives you a taste of that classic crime mystery we all love. I'm really grateful for my blundering mishap, because otherwise I might have missed out on one of my favorite reads of the year so far! Obviously I'm aware that this book won't be everyone's cup of tea, but I was partially swayed by the high number of positive early ratings The Stranger Diaries had received, while seeming to not have a never-ending budget that some of the big titles receive pre-publication. This word of mouth via reviewers is spot on; I see why the quiet hum surrounding this one is slowly growing to a steady buzz. Elly Griffiths is well known for her series, but this being her first stand-alone novel could have gone either way. I'm so impressed that I'm salivating for more of her work! The story opens with a novella of sorts; we only get bits and pieces spaced throughout until the very end, where we finally get to read The Stranger in its entirety, which was a brilliant move. Also inserted are diary entries from Clare, one of the narrators, and one could argue the main character of the novel. Here's the kicker-we are thrust around between THREE UNRELIABLE NARRATORS and I adored this move. And I'm not talking Gone Girl type of unreliable narrator; I'm saying that these three characters all have their own flaws that we uncover throughout, and we get to decide along the way how severe the secrets are that each of them hold. The plot is complex, multi-layered, and incredibly engrossing. As I was reading, I found myself torn between wanting to blow through the book and anxiously attempting to savor it slowly. Because the POVs change frequently, I was kept on my toes and was forced to continually evolve my view of each character. Who could I trust? Who was holding the biggest secret? Well, we find out in the end and I was very pleased with the Five W's (Who What When Where Why). In all, excellent from beginning to end. Highly recommended! Clare is an English teacher at Talgarth High School which was the home of an author named R.M. Holland. R.M. Holland's wife, Alice died and she roams and haunts the school. Clare was a fan of his book, The Stranger. She specializes in the gothic writer, R.M. Holland. She teaches a course in it every year. She decides to write a biography about him. Then one of Clare's colleague's Ella, who is a very close friend of hers dies and is murdered. There is also a note left by her body which is a line from R.M. Holland's novel, The Stranger which says, "Hell is Empty. Clare lives with her teenage daughter, Georgia and her dog, Herbert. Someone is leaving creepy notes in her diary. "Gallo Clare, You don't know me." Clare is in the center of the crime and the mystery seems to revolve around her. Ella isn 't the only one who is murdered and everyone is a suspect. The Police suspects the killer is someone that Clare knows. I am a big fan of The Ruth Galloway series and was so happy when I got the copy of this book. I loved this book more than I thought I would. I especially loved this one because I love a thrilling gothic novel after a reading slump. I just loved the gothic atmosphere and it was so creepy. It was fantastic. It's a book within a book. Gothic novels are always my favorite genre. I was so surprised who the killer was and I never suspected the killer. I didn't think the killer has a strong motive. It just wasn't good enough. I thought the plot was great and loved everything else about this book. There were so many things that I loved about this book. I just loved the characters. I loved Clare and her teenage daughter, Georgia who was very mature for her age. I loved the dog Herbert and thought he was adorable. My favorite character was Byrony Hughes. I thought her character was done so well. i loved DS Harbinder Kaur. Now I am looking forward to reading the rest of the Ruth Galloway series. This was a Traveling Sister Read and it was a fun discussion. Paula Kalin Glad you found a good series, Mary Beth. Terrific review! Mary Beth *Traveling Sister* Thank You, Paula! This one is a standalone but I love her Ruth Galloway Series. The Stranger Diaries is about an English teacher whose life begins to mirror a Gothic murder mystery. Clare, a single mother to 15-year-old Georgie, is an English teacher in an idyllic seaside town. She happens to teach in the school where famous author R.M. Holland once lived. Clare, a Holland scholar, loves to teach his eerie short story “The Stranger.” When a fellow English teacher is murdered, Clare is shocked that her friend and colleague was murdered. Even more shocking i Creepy and Witty! Clare, a single mother to 15-year-old Georgie, is an English teacher in an idyllic seaside town. She happens to teach in the school where famous author R.M. Holland once lived. Clare, a Holland scholar, loves to teach his eerie short story “The Stranger.” When a fellow English teacher is murdered, Clare is shocked that her friend and colleague was murdered. Even more shocking is how the scene of the crime bears some similarities to “The Stranger.” As more and more mysterious events occur, it appears that Clare might be the killer’s next target. There is more than one mystery to be solved in The Stranger Diaries , as the reader also gets to experience R.M. Holland’s “The Stranger.” The story within a story method works well. There are multiple POV’s as the story is narrated by the Stranger, Clare, DS Kauer, and Georgie. While I was a little annoyed with the multiple POV’s, the characters grew on me and I realized at a certain point that The many POV’s are necessary. I really enjoyed The Stranger Diaries. My favorite part was the caustic tone; I found myself frequently laughing out loud. I also loved Herbert the dog! The mystery is intriguing, the characters are fascinating, and the tone is super creepy. Griffiths does a nice job of embodying a Gothic tone and setting. While I guessed the murderer early on, it didn’t ruin the outcome. I highly recommend! I received an ARC of this book from NetGalley and Houghton Mifflin Harcourt in exchange for an honest review. Meredith Thank you so much, Kelli! Elly Griffiths writes the perfect October read with this contemporary take on the Victorian Gothic novel set on the Sussex coast. Attractive Clare Cassidy is a divorced English teacher with a 15 year old daughter, Georgia, teaching at local comprehensive school, Talgarth High, where there is a building that Roland Montgomery Holland, a reclusive Victorian writer lived, a man famous for a short story titled The Stranger. Clare is writing a biography of RM Holland and is interested in the death of Elly Griffiths writes the perfect October read with this contemporary take on the Victorian Gothic novel set on the Sussex coast. Attractive Clare Cassidy is a divorced English teacher with a 15 year old daughter, Georgia, teaching at local comprehensive school, Talgarth High, where there is a building that Roland Montgomery Holland, a reclusive Victorian writer lived, a man famous for a short story titled The Stranger. Clare is writing a biography of RM Holland and is interested in the death of his wife, Alice Avery, rumoured to have fallen to her death, and his mysterious daughter, Mariana, about whom virtually nothing is known. Alice's ghost is said to haunt the school, and if seen, is said to foreshadow a death. Clare's best friend and colleague, Ella Elphick, is found murdered with a note that is a quote from The Stranger 'Hell is empty'. In a narrative delivered by three female voices, Clare, Georgia and DS Harbinder Kaur, aspects of The Stranger are interspersed throughout the novel, as creepy and menacing echoes of the Victorian story are to be found in a series of murders in the present. Ella was a well liked member of the English department and the entire school is shocked by her death. The police investigation is led by DS Kaur who attended Talgarth High as a pupil and her experiences of the school pepper the story. Clare is less than forthcoming to Kaur about the intrigue in the department and Ella, but then events take a sinister turn and more murders take place. Clare has been a long term keeper of personal diaries documenting her inner thoughts and events in her life. She is left afraid and unsettled when she discovers someone else has written in her diary at which point she hands her journals to Kaur who finds them revealing of Clare, and the truth of Ella's character and personal life. Clare thinks she knows her daughter, Georgie, rather well, but there is much that Georgia keep secret, including her attendance of a creative writing course run by Bryony Hughes, known as a white witch. In the meantime, Clare finds a romantic interest in Cambridge academic, Henry Hamilton, who has unearthed further information on RM Holland. An atmospheric thriller, full of chilling scenes, I found this book very hard to put down. Clare is a teacher at a high school, set in a historic old building. It is the former home of writer RM Holland, author of the ghost story The Stranger. Then Clare's friend and colleague, Ella, is found dead, a note is left beside her body with a line from The Stranger. Clare, afraid that the killer is someone she knows, turn to her journal, where she's always written down her thoughts and feelings. Then on An atmospheric thriller, full of chilling scenes, I found this book very hard to put down. The Stranger Diaries is a haunting gothic type mystery, full of creepy characters, any of which could prove to be the killer. With the setting of a haunted old mansion, what's not to love? Recommended. Clare Cassidy is an English teacher specializing in Gothic writer R.M. Holland and his short story, The Stranger . Clare is working on a book based on the mysterious life of R.M. Holland, who once lived in the school where she now works. One evening one of Clare's closest friends and colleagues, Ella, is murdered with a line from R. M. Holland’s story left by her body. Clare's life eerily begins to collide with some of her favorite pieces of literature. Confused and concerned about what is happening around her, Clare turns to her trusty diary only to find that someone has been to it first and left her a note. Who is this stranger writing in her diary? Could the killer ultimately be out for Clare? The gothic vibe of the story definitely added to its sense of eeriness. I will confess that I had the killer figured out - I just wasn't sure on the why. The motive actually left me a bit underwhelmed but overall, it fit within the context of the story and it was definitely plausible. Griffiths did a thorough job of leading us with a trail of breadcrumbs throughout and throwing in a few red herrings here and there. Personally, I was just hoping for a bit more - some of the red herrings would have actually been quite an interesting route to take. The cast of characters here was ecclectic and wonderful though I admit that Clare was actually my least favorite. I thoroughly enjoyed her daughter Georgie, their adorable and pampered dog Herbert and DS Harbinder Kaur. I can actually see DS Kaur in her own series. She is witty, critical and has quite an interesting backstory. Dare I hope we might see more of her in the future from Griffiths? What a great book and a complete surprise to me as it was my first by this author. I have made a note to try her Ruth Galloway series as soon as possible! The Stranger Diaries is a contemporary mystery with a Gothic flavour. There's a book within the book, old houses with creepy passageways, a deserted building with lights that flash from the windows at night and even a self proclaimed witch. What more do you need for the spookiness factor? And then there is the murder mystery, actually murders be What a great book and a complete surprise to me as it was my first by this author. I have made a note to try her Ruth Galloway series as soon as possible! And then there is the murder mystery, actually murders because there are several plus a few near misses. The story is told by Clare Cassidy, her daughter Georgia and D.S. Harbinder Kaur. Clare is an English teacher and would be author who is responsible for the diaries of the title and a lot of the other things that happen. Harbinder is a superb character with a very dry wit and a rather critical approach to life. Her unspoken asides to herself are hilarious. Add to all this a number of other well written characters and a cleverly woven story which keeps you guessing right to the end. So many possible murderers and I never even considered the right one! Altogether a really excellent book. Well, she's three for three, or I should say that this author, Elly Griffiths has not ever let me down. Her Ruth Galloway series is in my top ten, her newer Magic Men series is growing on me more and more, now this a standalone. All are in my view, terrific. She just is a master of atmosphere, but I think characters too. She makes the reader care. In this outing an English teacher Clair, who also teaches a writing class, is involved in a mystery. One of the books she uses as an example in her cla Well, she's three for three, or I should say that this author, Elly Griffiths has not ever let me down. Her Ruth Galloway series is in my top ten, her newer Magic Men series is growing on me more and more, now this a standalone. All are in my view, terrific. She just is a master of atmosphere, but I think characters too. She makes the reader care. In this outing an English teacher Clair, who also teaches a writing class, is involved in a mystery. One of the books she uses as an example in her class, is a gothic, and very strange tale. The school where she teaches has been rebuilt, though the original place this mysterious author wrote, still remains. A ghost is said to inhabit this section, so that sets the outwordly tone. Then the bodies begin to pile up, and everyone seems to be a suspect. The truth though may be closer than she thinks. Elly Griffiths is well known for her Ruth Galloway series. The Stranger Diaries is a stand-alone and my first book by Elly Griffiths. I read it in our Traveling Sisters reading group. A gothic murder mystery with a modern twist, a whodunnit, and a ghost story. The Stranger Diaries has a unique and interesting format to the story that we all loved. The story is told from different overlapping POVs, and timelines, passages from a book, a story within the story method and diary entries from one of t Elly Griffiths is well known for her Ruth Galloway series. 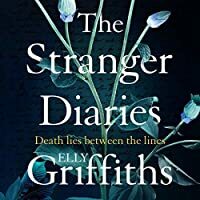 The Stranger Diaries is a stand-alone and my first book by Elly Griffiths. I read it in our Traveling Sisters reading group. The Stranger Diaries has a unique and interesting format to the story that we all loved. The story is told from different overlapping POVs, and timelines, passages from a book, a story within the story method and diary entries from one of the main characters. We all were intrigued right from the start with this entertaining and fun story that takes place on the grounds of a school where a famous author R.M. Holland once lived. We loved the gothic tone and setting to the story and were drawn in the murder mystery and ghost story right from the start. There were some things here in this story that just didn’t work for me and a few of us just didn’t buy into. This lead to some discussion within the group and it was interesting to see how everyone reacted to these things. The ending also left us with a few things to discuss. Some of us were shocked by whodunnit and of course even though I was questioning a few things I didn’t figure out who it was. You would think after so many thrillers my detective skills would be better. But no! The ending wrapped up quite quickly and a bit neat and we were questioning a few things about that. Leaving a few of us not buying into it and the rest not really bothered by it because of the well done gothic elements to the story. I highly recommend this one for group reads. There is plenty to talk about! Thank you to NetGalley and Houghton Mifflin Harcourt for my copy to read and review. The Stranger Diaries has the elements of a police procedural, gothic mystery, and possibly a haunting. Yes! Yes! & Yes! Clare Cassidy is a well respected English teacher. Divorced, she lives with her daughter, Georgie, and her adorable pup, Herbert. (I love Herbert!!!) Her best friend and fellow English teacher, Ella, has been discovered murdered and covered in stab wounds. A note lay beside her reading "Hell is Empty". A book within a book. Clare teaches a class on R.M. Holland's horror nov The Stranger Diaries has the elements of a police procedural, gothic mystery, and possibly a haunting. Yes! Yes! & Yes! A book within a book. Clare teaches a class on R.M. Holland's horror novella, The Stranger. She also works at a school in which he once lived many years previous. She is currently writing a book about the mysterious death of his wife, Alice, who apparently haunts the halls of the school. When another English teacher is found dead the detectives decide they need to take a closer look at everyone in the school, students and teachers alike, and it appears that everyone has secrets. When Clare discovers that someone else has written in her private and personal diary her fear is that she will be the next victim. "HALLO, CLARE. YOU DON'T KNOW ME." Is there really a murderer or is something more ghostly happening here? I thought this was an incredibly well written mystery without being too dark or gruesome. I believe this will appeal to a much larger audience because of that. People that are easily triggered shouldn't have any problems. "It can be a dangerous thing, reading too much." Clare Cassidy, a high school English teacher, specializes in the Gothic writer R. M. Holland. She and the rest of the school is shocked when one of her friends and colleagues is found dead with a line from Holland's most famous story, "The Stranger: is found near her body. Police further shock her when they inform her that they believe the killer is someone she knows. Could she and her fifteen-year-old daughter, Georgie, be in danger? It seems so, e "It can be a dangerous thing, reading too much." Could she and her fifteen-year-old daughter, Georgie, be in danger? It seems so, especially after Clare discovers that someone else has written in her diary -"Hallo, Clare. You don’t know me." Is the killer someone she knows, or is it a stranger? I thoroughly enjoyed this book told through the points of view of Clare, Georgia and DS Harbinder Kaur. Each provided insight and gave the reader a glimpse into each's personality and thought process. This book also contains a book within a book. Although this was interesting, this was my least favorite part of the book. I'm not sure that it was necessary. Although, I guessed the culprit/murderer early on, it did not hamper my enjoyment of this book. This was my first book by this Author, but it will not be my last. I found this to be a fast paced read with quirky enjoyable characters. Besides, Herbert (the dog), I especially enjoyed DS Harbinger. I found the book to be well written, perfectly paced, not rushed and intriguing. This was the perfect read for this time of year. My friends in the UK love this author, and it’s about time I try an Elly Griffiths’ book! And it’s a win! The Stranger Diaries is a gothic mystery of sorts centered on Clare Cassidy. She’s a high school English teacher whose area of expertise is a particular Gothic author. One day, one of her closest friends is murdered, and right beside her body? A copy of the Gothic writer’s most famous story. On top of that, the police insist that author connection means Clare must know the killer. Clare has My friends in the UK love this author, and it’s about time I try an Elly Griffiths’ book! And it’s a win! Clare has kept diaries for years, and she begins to write about the case; however, she notices something suspicious. In an old diary, someone has written, “Hallo, Clare. You don’t know me,” and she begins to wonder if that famous story has now come to life as her own. The Stranger Diaries definitely has the gothic vibe to it. While it’s a contemporary thriller, it felt timeless or even old. The setting was super creepy and atmospheric. The tone is definitely haunting. The Stranger Diaries has the feeling of a classic old-fashioned whodunit, and I absolutely loved every bit! 2. Several points of view. 3. The mixture of modern and old school. 4. Police procedural mixed with the creepiness of the setting. 6. The setting of a "haunted" school. If your craving something a little different from your standard thriller, this one has a lot to offer. I was absorbed in the story and it has "just enough" creepiness without being gruesome or overly graphic. I loved how the author brought in the gothic feeling by using a book inside of the story that would hold answers to the mystery. I found it atmospheric, entertaining, and unique. Despite a dear friend telling how much she loves the Ruth Galloway series, I’ve never read Elly Griffiths. So her first stand alone novel seemed like a good place to start, especially when it was compared to Magpie Murders. “A modern gothic mystery”, according to the book’s description. Perfect! And this book did work for me on so many levels. First the characters…there are three narrators and I enjoyed each of them. It was easy for me to bond with Clare. An English teacher who teaches creative writing, she’s in love with her rescue dog. And she keeps a diary. As one person says, “I didn’t think anyone did that except in Victorian novels”. DS Kaur, the investigator, has a great dry sense of self deprecating humor. She’s sharp, a real sleuth in the old tradition. And Georgie is smart but still definitely a teenager. Second, the plot… The book starts as a normal murder mystery, with Clare’s best friend the victim. But it takes on a deliciously creepy factor when Clare discovers someone has written in her diary. An unknown someone. And Griffiths has layered a bit of otherworldliness on top of the murder mystery. Usually, this would bother me, but here it works. It’s also one of the few books lately where I had absolutely no bloody clue who the murderer was. Third, the writing style… The story flips back and forth between the three characters’ narratives. Griffiths shows us the same scene from various perspectives. I especially appreciated the parent vs. teenager views and how inept Clare was at understanding Georgie. And for once, the comparison is apt. I do think those who enjoyed Magpie Murders will also enjoy this. My thanks to netgalley and Houghton Mifflin Harcourt for an advance copy of this book. This is my first Elly Griffiths novel and I'll be checking out more of her novels in the future. The story is told from three POVs although there is also a short story contained within the novel that gives us a fourth narrator for those parts of the book. The short story is The Stranger, written by the fictional Gothic writer R. M. Holland, who one of the main characters, Clare, specializes in teaching in her high school English classes. Clare's 15 year old daughter Georgia attends the same high This is my first Elly Griffiths novel and I'll be checking out more of her novels in the future. The story is told from three POVs although there is also a short story contained within the novel that gives us a fourth narrator for those parts of the book. The short story is The Stranger, written by the fictional Gothic writer R. M. Holland, who one of the main characters, Clare, specializes in teaching in her high school English classes. Clare's 15 year old daughter Georgia attends the same high school and provides another POV for the novel. The third POV comes from DS Harbinder Kaur, one of the detectives investigating the murder at the school. The murder of Clare's best friend, Ella, another English teacher at the school, seems to have evidence that alludes to the short story, The Stranger. In fact, the school houses the building where Holland lived almost a century ago, where his wife died mysteriously by being pushed or thrown down the stairs to Holland's attic office. Then Clare notices that someone has added writing to her private diaries, making everything seem even more sinister. There is an eerie feel to the book, as more and more things happen that allude to Holland and his writings, which is fun in a modern day novel. I enjoyed reading from the POV of all three characters, the snobbish, beautiful Clare, the too mature for her age, Georgia, and the hard nosed, sarcastic and witty DS Kaur. Reading the events of the story from three different perspectives often changed the who and how of the story for me and even though I briefly picked the right person for the murderer, I was led astray by new events and seeing the events from a different view point. . And then there was the short story within this novel that added to the mysterious and gothic feel of the book. Clare Cassidy, divorcee with 15 year old daughter Georgia, had moved from London to West Sussex, having accepted a position teaching English at Talgarth High School. Clare and Georgia now reside in an isolated house near an abandoned factory. Clare maintains a diary reflecting her innermost thoughts. Additionally, she shares her feelings with rescue dog, Herbert. After all, a dog will not judge his owner! Clare is thrilled that author R.M. Holland, the writer of a gothic ghost story called "The Clare Cassidy, divorcee with 15 year old daughter Georgia, had moved from London to West Sussex, having accepted a position teaching English at Talgarth High School. Clare and Georgia now reside in an isolated house near an abandoned factory. Clare maintains a diary reflecting her innermost thoughts. Additionally, she shares her feelings with rescue dog, Herbert. After all, a dog will not judge his owner! Clare is thrilled that author R.M. Holland, the writer of a gothic ghost story called "The Stranger", formerly resided at the Annex of Talgarth HS. Talgarth was comprised of a New Building where most student life took place and an Old Building (once called Holland House). The attic was R.M.Holland's study until 1902. Clare, as resident Holland expert, had a key allowing her access to the attic. She planned to write the first ever biography of the reclusive author of "The Stranger". Perhaps she could investigate the death of Holland's wife, Alice. Was Holland House haunted by "a woman in a white nightdress floating down the stairs?... If you see her, is a death imminent?" It started with the death of Ella Ephick, Clare Cassidy's friend and colleague. A troubling note beside the body contained a quote from "The Stranger"..."Hell is empty". DS Harbinder Kaur,a Talgarth graduate, and DS Neil Winston are brought in to investigate. Harbinder is convinced that the murder is not random. She visits Talgarth HS ... "I just want to imagine Ella here". The impact of Ella's murder and the events following are seen through the eyes and perspective of three distinct characters: Clare, daughter Georgie, and Harbinder. Clare and Georgie's lives are additionally compromised when Clare finds several strange handwritten entries in her personal diary. Could the killer have left his/her calling card? "The Stranger Diaries" by Elly Griffiths was a suspenseful literary novel like no other I have read. I enjoyed the literary references and the book within a book. Harbinder was my favorite protagonist. Perhaps she seemed crusty and distant but she had "heart". Dog lovers will be thoroughly entertained by the loving relationship between Herbert and his "humans". This stand-alone novel from Elly Griffiths is a gothic, police procedural I highly recommend. Heavy draperied rooms, long winding staircases, and imposing carved wooden doors lend themselves to a Victorian Gothic panoramic view. Elly Griffiths sets this treasure box of a story within the walls of Talgarth Academy in Sussex. There's an array of buildings that stretch across the campus including the Old Building that houses the original effects of the writer, R.M. Holland. Holland lived there with his wife, Alice, and an elusive daughter, Mariana. According to legend, no one knows what hap Heavy draperied rooms, long winding staircases, and imposing carved wooden doors lend themselves to a Victorian Gothic panoramic view. Elly Griffiths sets this treasure box of a story within the walls of Talgarth Academy in Sussex. There's an array of buildings that stretch across the campus including the Old Building that houses the original effects of the writer, R.M. Holland. Holland lived there with his wife, Alice, and an elusive daughter, Mariana. According to legend, no one knows what happened to Mariana. Alice, dear Alice, was to have taken a tumble down the lush staircase and never recovered. Students claim to have seen a white mist floating at times with a definite chill in the air. An immediate death was to occur after the sighting like clockwork. We're introduced to Clare Cassidy, a literature teacher, who is smitten with The Stranger by Holland and implements the story into her classes. She is presently writing her own book on Holland's peculiar life and career and wishes to find out what happened to Mariana. Georgie, her fifteen year old daughter, resides with Clare off campus and attends the Academy. Clare has been divorced from her husband, Simon, for the past two years. Clare has no idea of what murderous intent will be assigned on this semester's syllabus. A sudden pounding on Clare's front door marks the arrival of tragic news. Ella, best friend and co-worker, has been stabbed to death in her own cottage. DS Harbinder Kaur is lead investigator. Griffiths has created quite the multi-faceted character here. Kaur is bright, witty, and highly analytical by nature. Her backstory is layered with interesting detail and the reader is drawn in immediately. It's my hope that Elly Griffiths brings Kaur back front and center in another book. The story weaver lines up many threads throughout with inserts of The Stranger between chapters and references to The Woman in White. Pay attention to the Shakespearean quote from The Tempest: "Hell is empty and all the devils are here." A luscious literature stew simmering on a burner of mystery told in revolving chapters by the main characters. Truly a classic who-done-it with all the trimmings. I received a copy of The Stranger Diaries through NetGalley for an honest review. My thanks to the talented Elly Griffiths and to Quercus Books for the opportunity. Thank you to the publisher Houghton Mifflin Harcourt for providing an advance reader copy via NetGalley. Murder mysteries aren't my usual favorite reading genre, but because of its gothic flavor and setting in England and Scotland, I took the plunge. Decades ago when Stephen King first hit the scene, I faithfully read everything he put out. I was on a horror kick for awhile there. Today my go to genres are biographies and historical fiction. Yet, this has been getting many favorable rev 3.5 Stars. Murder mysteries aren't my usual favorite reading genre, but because of its gothic flavor and setting in England and Scotland, I took the plunge. Decades ago when Stephen King first hit the scene, I faithfully read everything he put out. I was on a horror kick for awhile there. Today my go to genres are biographies and historical fiction. Yet, this has been getting many favorable reviews on Goodreads, prompting me to see what all the bugaboo was about. Sadly, for me it didn't quite live up to the hype. However, I did enjoy this book- it just didn't wow me. The story takes place in a school that used to be on a "needs improvement" level, but has managed to elevate its rating of late. The original part of the school is old and gothic in architecture, with a new building annexed onto it. The old section of the school is legendary for its attic office belonging to the late R.M. Holland, famous for writing a horror piece called "The Stranger". The room has been maintained as it was when the celebrated author was alive. Divorced English teacher Clare Cassidy works there, but she's also writing a book about R.M. Holland. As the book begins, "The Stranger" by R.M. Holland is read, its creepy flavor accentuated by its italicized text. Indeed, this short story is sprinkled evenly throughout the book in parallel with the murders that occur. Clare has kept a diary for decades, but after a teacher friend is murdered she notices someone has written a message in her diary. This is a frightening occurrence that repeats itself after every murder. In addition, the murderer leaves post-it notes behind near its victims, their blurbs echoing a line from notable literary tomes such as "The Stranger", "The Woman in White", or Shakespeare's "The Tempest". Meredith Wonderful review, Tudor Queen! The perfect blend of gothic horror, psychological suspense, and police procedural! As much as I love spooky old houses with a dark history, and possible ghosts sightings, a thought-to-be haunted house turned into a secondary school had me even more excited. The Old Building of Talgarth High, was once home to Victorian Horror writer R.M. Holland, best remembered for his horror-themed, scary short story, The Stranger. The t The perfect blend of gothic horror, psychological suspense, and police procedural! Not only is the school creepy, but so was the location of the protagonist, Clare’s, house – one of a row of townhouses in the middle of nowhere, initially built to house workers of the nearby cement factory – which now sits abandoned and derelict. As scary as I’ve made it out to be, this is neither gory, nor a horror story, but is largely modern day crime, mystery, psychological suspense, with a side of gothic foreboding, meaning that even those who don’t do horror would enjoy this. Clare Cassidy – An English teacher at Talgarth, single mum to Georgie, friend and fellow co-worker of Ella, currently working on a biography of R.M. Holland. DS Harbinder Kaur – The detective investigating the murder of one of the school’s English teachers, Ella Elphick, who was stabbed to death in her own home. Harbinder attended Talgarth as a student. Georgie Cassidy – Clare’s teenage daughter, current student at Talgarth. The POV’s were split into parts, with Clare voicing Part 1, Harbinder Part 2, you get the picture. Excerpts from The Stranger were included throughout, as well as pages from Clare’s diary. I warmed to all three characters early on, even though right from their introduction all of them came across as secretive, and not entirely trustworthy. I enjoyed the contrasting perspectives – teacher, student, detective/former student – and how they all had a connection to Talgarth. I alternated between the book and the audio version, and have to mention that Andrew Wincott’s over-the-top, dramatic reading of the gothic tale, The Stranger, is a must listen. 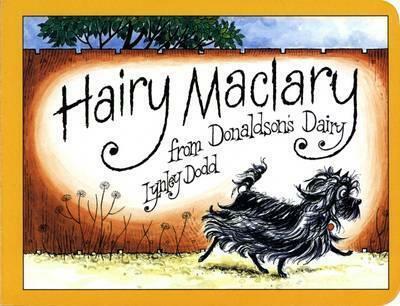 Side Note: I was thrilled to bits when Claire’s dog, Herbert, was described as a white Hairy Maclary from Donaldson’s Dairy, the first in a series of children’s picture books penned by New Zealand author, Lynley Dodd. Ta-Dah! This is what he looks like, except white. I’m swimming against the tide here. I found this book hard to get into, maybe it’s a case of “it’s not you it’s me” and my frame of mind is not right. Who knows. The different perspectives were easy enough to follow. The characters diverse enough. The ghostly feeling of it all is either something you like or not. For me, sadly not. I guessed the killer very early on, wasn’t 100% sure at first but then it became clear. I didn’t know why, so read on. I had to read on because I needed to know what happ I’m swimming against the tide here. I didn’t know why, so read on. I had to read on because I needed to know what happened to that poor dog too. I think that’s the reason I continued today to finish it. There are so many brilliant reviews on this book and I REALLY wanted to feel like everyone else, but, I just don’t sadly. Although I was interested in the description of this novel, I was, initially, a little wary. I had tried Elly Griffiths popular Ruth Galloway series, and stalled with it. However, I am glad that I gave this a try, as I absolutely loved it and it has made me determined to go back and give Ruth Galloway another try. This is a clever, literary mystery, with an excellent cast of characters. Clare Cassidy is a divorced English teacher, living with teenage daughter, Georgie and working at Talgarth High Although I was interested in the description of this novel, I was, initially, a little wary. I had tried Elly Griffiths popular Ruth Galloway series, and stalled with it. However, I am glad that I gave this a try, as I absolutely loved it and it has made me determined to go back and give Ruth Galloway another try. I particularly enjoyed the characters in this novel. Spiky, assertive, D S Harbinder Kaur and her partner, Neil Winston, added an excellent dimension – so often in crime novels you have either interesting suspects, or interesting investigators, but this novel has both. There is also an engaging academic flavour, with Henry H. Hamilton, a Cambridge academic, contacting Clare about some possible information he has on R.M. Holland, and a rather creepy teacher, Bryony Hughes, who seems to see herself as a modern Miss Jean Brodie. Over-riding the story are snippets from R.M. Holland’s most famous story, which mirrors events in a very creepy way. A really good cast of possible suspects makes it hard for you to spot the killer and I enjoyed Clare’s diary snippets too – as well as those of Georgie. Diary writing might be a dying art, but hopefully Elly Griffiths will persuade some readers to take up their pen. Overall, I loved this and I particularly hope that D S Kaur will appear in future books. I am now, most definitely, an Elly Griffiths convert! I received a copy of this book from the publisher, via NetGalley, for review. Clare Cassidy, divorced and living with her 15 y old daughter Georgie, left London for a quieter life on the Sussex coast where she teaches English at a comprehensive school. Part of the attraction of the school for Clare, is that one of the older sections was once the home of the gothic story writer R.M Holland, whose biography Clare is writing. Holland was mostly known for his famous gothic tale, 'The Stranger', which Clare uses to teach her adult creative writing class. Her dog Herbert is eve Clare Cassidy, divorced and living with her 15 y old daughter Georgie, left London for a quieter life on the Sussex coast where she teaches English at a comprehensive school. Part of the attraction of the school for Clare, is that one of the older sections was once the home of the gothic story writer R.M Holland, whose biography Clare is writing. Holland was mostly known for his famous gothic tale, 'The Stranger', which Clare uses to teach her adult creative writing class. Her dog Herbert is even named after the dog in the story. When Clare's best friend and fellow teacher Ella is found dead in a way similar to one of the victims of the story, a quote from 'The Tempest' also used in Holland's tale is left by her side "Hell is empty and all the devils are here". Dorie - Traveling Sister :) *TUDOR^QUEEN* wrote: "Great review! ♡"
I have to admit that the first time I started this book I was a little put off with all of the descriptions of gloomy gothic feeling British schools and talking about “The Stranger” a book by a supposedly famous author, none of which I knew anything about. The second time I put aside an evening to immerse myself in this book and I was hooked after the first few chapters, actually I couldn’t stop reading it. There are so many interesting, unique characters, descriptions of the British countryside and Talgarth High School that I knew that I was in for a treat. The fact that this is a book within a book is very special, only a few authors that I’ve read can pull this off. Clare Cassidy is a devoted English teacher who is teaching an adult course during the summer months to pick up some extra money, and she always enjoys introducing new students to one of her favorite authors, R. M. Holland. Clare is actually writing a biography on him, although at the time her writing has been frustrating her. The fact that she is teaching in Talgarth High, where the author, in his top floor study, wrote “The Stranger” adds added tension and mystery to the discussions in the class. She is actually in a good place, her divorce behind her, her daughter Georgia, age 15, is with her and lots of teachers she cares deeply for. All of this changes when her teammate and friend Ella Elphick is found murdered, stabbed multiple times and a note left quoting a line from “The Stranger”, “Hell is empty”. Everyone is shocked, Ella was a favorite among colleagues and students. Detectives DS Harbinder Kaur and her partner Neil Winston are assigned to the case and quickly start interviewing everyone and searching for clues to the murder. The novel is told from three points of view, Clare, Georgia and DS Harbinder. I enjoyed each of their viewpoints but really loved the character of DS Harbinder. She actually attended Talgarth High and so is very familiar with the stories surrounding R. M. Holland. She is a very meticulous investigator with a keen eye for details and a determination to find the murderer before more tragedy ensues, unfortunately there will be more murders but I will leave you to discover that. The title “The Stranger Diaries” actually refer to Clare’s personal diaries which she has kept, locked in her bedroom, and has been journaling since she was young. One of the hints I will share with you is that someone else is writing in Clare’s diary and writing very upsetting notes. We don’t know if this is the same person who killed Ella but it is notably creepy that he/she is able to gain access to the diary in able to write the notes. I ended up loving this book and the incredible skill that Ms. Griffiths’s has as a writer. This is an intelligently written, deeply plotted mystery with a gothic feel and simply wonderful characters. Read this one, you will not be disappointed! I received an ARC of this novel from publisher through NetGalley. 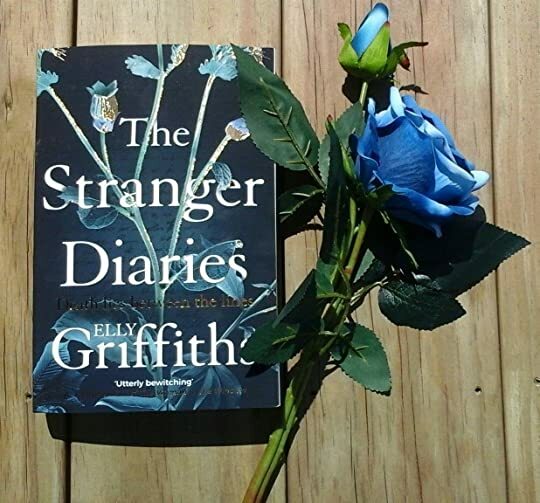 Elly Griffiths has woven together a tale of gothic suspense, psychological terror and marvelous detective work and thrown in a full measure of classical literature, all of which create a beautiful tapestry called The Stranger Diaries. Whew. If you think that opening line was a lot to absorb, just wait until you read the book. I’m still trying to untangle my mind from the who’s and who’s nots and what’s real and what’s not! For someone who had an imaginary playmate until she was 10 years old and s Elly Griffiths has woven together a tale of gothic suspense, psychological terror and marvelous detective work and thrown in a full measure of classical literature, all of which create a beautiful tapestry called The Stranger Diaries. Whew. If you think that opening line was a lot to absorb, just wait until you read the book. I’m still trying to untangle my mind from the who’s and who’s nots and what’s real and what’s not! For someone who had an imaginary playmate until she was 10 years old and still has a crush on Harry Bosch, whom I’ve been told is not a real person, trying to decipher a book within a book within a book written by fictional character written by an author with a nom de plume was a lot to comprehend. But, hand on heart, this book – The Stranger Diaries – was worth every single moment spent reading it. It is fantastic! The book opens with a line from “The Stranger,” a gothic short story written by RM Hammond, whom our main character, Clare, is studying in hopes of writing a book about his life and works. Clare is an English teacher at a school that is nestled in the old home where Hammond once lived. Her fellow teacher and best friend, Ella, is found stabbed to death with a note lying next to her body which reads, “Hell is Empty,” also a line from Hammond’s book. As The Stranger Diaries continues, the body count rises as does the spooky, creepy factor of the entire tale. Folded within the story itself is the re-telling of The Stranger and the more we as readers learn, the more similarity there is between current events and the haunting, gothic tale of the past. The Stranger Diaries reads, at once, both as a ghost story and a gothic suspense. The writing is marvelous, intelligent and might possibly have you scrambling to look up classical literature references along the way. (Note: Hammond is a fictional writer, much to my dismay.) I loved all of the characters, except the ex-husband and even he was the perfect ex. In all, this is a terrific mystery, ghost story, gothic tale that crosses multiple genres and can enjoyed by many. I highly recommend it. Thank you to #Edelweiss, #HoughtonMiflinHarcout and #EllyGriffiths for my copy of The Stranger Diaries. Debra Fantastic Review, Mackey! So happy you enjoyed it so much! Clare Cassidy is an English teacher, at Talgrath High, who specializes in teaching about the (fictional) Gothic writer, R.M Holland, author of the famous short story titled, “The Stranger” and a former resident of the school. R.M. Holland may or may not, have also had a daughter, Mariana, and Clare is hopi Clare Cassidy is an English teacher, at Talgrath High, who specializes in teaching about the (fictional) Gothic writer, R.M Holland, author of the famous short story titled, “The Stranger” and a former resident of the school. R.M. Holland may or may not, have also had a daughter, Mariana, and Clare is hoping to write a biography of the author, solving these mysteries…but before she can, she will have to solve a mystery of her own. Her friend, and colleague, Ella has been found murdered, with a note, quoting a famous line from “The Stranger” left near the body...and, she won’t be the only casualty in this “whodunnit “, as the crimes continue to mimic the creepy story that she teaches in her adult creative writing classes. And, now, a note has been found in Clare’s personal diary, which says “Hallo Clare. You don’t Know Me”. Is Clare the next target? Told from the alternating perspectives of Clare, her daughter Georgie, and DS Harbinder Kaur, in THIRTEEN parts, the current crimes are investigated, with entries from Claire’s diaries, and chapters from the short story “The Stranger”, sprinkled throughout. My favorite character was Claire and Georgie’s dog, Herbert, who attends doggy day care, while Clare is teaching classes and although Clare teaches that in gothic literature, animals are often expendable, with authors killing them to create tension, I can assure nervous readers that Herbert will survive, so get cozy under a blanket with a cup of tea, or a glass of wine and enjoy solving this one. I got it right, but it did not detract from my enjoyment at all. Recommended if you like suspense, that is not gory, with a bit of a “ghost story” thrown in. What I enjoyed most about this book is how it was this interesting combination of a mystery taking place in modern day England and yet it also had this old-fashioned, gothic vibe to it. It was actually refreshing to read because this one felt more like a straightforward mystery rather than most current books in the genre that rely too heavily on insane plot twists. While this book might not have worked for me on every level, I would definitely be interested in checking out more books by the auth What I enjoyed most about this book is how it was this interesting combination of a mystery taking place in modern day England and yet it also had this old-fashioned, gothic vibe to it. It was actually refreshing to read because this one felt more like a straightforward mystery rather than most current books in the genre that rely too heavily on insane plot twists. While this book might not have worked for me on every level, I would definitely be interested in checking out more books by the author. Clare Cassidy is a high school English teacher and mother to her teenage daughter, Georgia. Clare's specialty is on the writer R. M. Holland, most famous for his story, "The Stranger". She is shocked when she finds out one of her colleagues has been murdered, and left at the crime scene is a note with a line from "The Stranger". She becomes absolutely terrified when she notices someone has left a creepy note in her diary. Police suspect someone close to Clare might be the murderer, or Clare might have done the deed herself. I'll admit I was pretty disappointed when it turned out my guess at who the murderer was turned out to be right. I didn't think it came out of left field at all, but at least the explanation of everything wasn't extremely obvious from the get go. I get much more enjoyment out of mysteries when I am completely wrong about what happened rather than when I'm right. The narration was split among the characters of Clare, Georgia, and a female police investigator. As the reader you also get to learn more about "The Stranger" throughout the book. I did like this style of telling the story but unfortunately I just wasn't a huge fan of the characters. I found them to be rather boring. Thankfully, the mystery itself was enough to drive the story and for the most part hold my interest. Recommend if you like solid mysteries that aren't over the top. Katie B *TUDOR^QUEEN* wrote: "Brilliant review :-)"
Elly Griffiths takes a break from her popular series to bring us a spooky stand alone. And you get 2 stories for the price of one. Clare Cassidy is a recently divorced english teacher who moved to the Sussex coast with her daughter for a fresh start. She’s working on a book about author R.M. Holland whose chilling story “The Stranger” was a one hit wonder. Teaching at Talgarth Academy is a big plus as it was once Holland’s home & his study has been perfectly preserved. Daughter Georgie has se Elly Griffiths takes a break from her popular series to bring us a spooky stand alone. And you get 2 stories for the price of one. Daughter Georgie has settled in & Clare quickly found a kindred spirit in Ella, a colleague at the academy. Another bonus is she doesn’t have to worry about bumping into her ex-husband & wife 2.0. Good times, right? Well….it was. Right up until Ella was murdered. Just so you know, at this point I’d be packing bags & making tracks as I’d be officially freaked waaay the hell out. Clare doesn’t have that luxury & soon finds herself the focus of an investigation led by local cops DS Harbinder Kaur & partner Neil Winston. As it all unfolds we get versions of events through multiple narrators. This didn’t always work for me as we sometimes get the same scene twice & having it retold by a different character didn’t necessarily impart anything new. However it was very effective when each character told their own story. As they reveal personal thoughts & secrets, we begin to realize some of them have hidden depths. I particularly enjoyed spending time with Georgie. She’s a smart, intuitive young woman with more on her mind than typical teenage concerns. 4.5 Stars → THE STRANGER DIARIES was creepy good fun! Clare is a high school English teacher, as well as a scholar of 19th century Gothic novelist R.M. Holland, who once lived in the building where she teaches. When one of her colleagues is murdered, mysterious events begin to mirror those in Holland's famous short story, "The Stranger." Is there a flesh and blood killer on the loose, or is there a connection with the restless spirit rumored to haunt the school? I enjoyed this book very much. Al 4.5 Stars → THE STRANGER DIARIES was creepy good fun! Clare is a high school English teacher, as well as a scholar of 19th century Gothic novelist R.M. Holland, who once lived in the building where she teaches. When one of her colleagues is murdered, mysterious events begin to mirror those in Holland's famous short story, "The Stranger." Is there a flesh and blood killer on the loose, or is there a connection with the restless spirit rumored to haunt the school? I enjoyed this book very much. All of the characters were unique and realistic. I liked the alternating POVs between Clare, her daughter Georgie, and DS Kaur. There was a 4th voice too — the "Stranger" from Holland's story. It was a mystery within a mystery. The old haunted school by the sea was the perfect Gothic setting. Loved it! Elly Griffiths is a new favorite author, and I'm looking forward to checking out her other books! Something a little different from the usual thriller..... Its Gothic, haunting, mystery who dunnit. Claire a teacher at the high school, she teaches teenagers about the famous writer RM Holland. Her friend and former colleague Ella is found murdered with a note n Something a little different from the usual thriller..... Its Gothic, haunting, mystery who dunnit. Very well written book and I highly recommend reading it, I don’t want to give away too much of the story, I really enjoyed the connections back to the high school and the detective was my favourite character. Clare Cassidy is an English teacher at Talgarth High. She's also writing a book on Gothic writer R.M. Holland, known for his famous ghost story, "The Stranger." Clare is horrified when she's told that her close friend in the English department, Ella, has been murdered. Even worse, it seems like Ella's death has linkages to Clare and "The Stranger"--with a line from the story left at the crime scene. Clare turns to her diary, her one safe place. Then one day she finds writing in her diary that is Clare Cassidy is an English teacher at Talgarth High. She's also writing a book on Gothic writer R.M. Holland, known for his famous ghost story, "The Stranger." Clare is horrified when she's told that her close friend in the English department, Ella, has been murdered. Even worse, it seems like Ella's death has linkages to Clare and "The Stranger"--with a line from the story left at the crime scene. Clare turns to her diary, her one safe place. Then one day she finds writing in her diary that isn't hers. Is a murderer writing directly to Clare? And is she next on the list? Oh I love Elly Griffiths so much, and I was incredibly excited to win this book in a Goodreads Giveaway. It was so good! It's told in various points of view, including Clare's and that of Harbinder, an incredibly awesome Sikh lesbian Detective Constable. I mean... so cool. Harbinder attended Talgarth High in the past, so her former schooling memories are aligned with the current case. The book gets off to an engaging start from the beginning. It's creepy and interesting from page one and never stops. We get pieces of R.M. Holland's story "The Stranger" interwoven in our story, too, and have to figure out how it aligns to the tale unfolding before our eyes. In fact, the book is very literary, which is really fun, especially if you're a book nerd like me. Lots of little Easter eggs thrown in, almost: bits of Shakespeare and more throughout. Griffiths is just so darn good at writing her characters. Clare and Harbinder are both so uniquely "them" and different from each other from the get-go. I was completely engrossed in the story and caught up in their lives, even Clare's and honestly, she can be a little self-absorbed at times. It's hard not to appear that way when you're reading excerpts from someone's journals. Clare has a daughter, too, and we also learn about others in the English department who worked with Clare. Truly, the British education system is its own mystery to me, though I'm slowly learning about it through many English novels! This novel is an excellent mystery and incorporates creepy Gothic undertones. I couldn't help but get a little spooked when Clare was discovering writing that wasn't hers in her journal. Even better, it's just so good and well-written! It kept me guessing the entire time, and putting all the pieces together down the finish line was fun. I literally had no idea who had done it--it was incredibly well-done! Overall, I really enjoyed this one. The characters are great, the plot is befuddling and exciting--it's a wonderful mystery! Highly recommend. 4.5 stars. A huge thanks to Goodreads and Houghton Mifflin Harcourt for my copy!